They have a heritage to be proud of but also have one eye on the future. Stan goes face-to-face to get the exclusive scoop on Pinasco’s most recent developments. 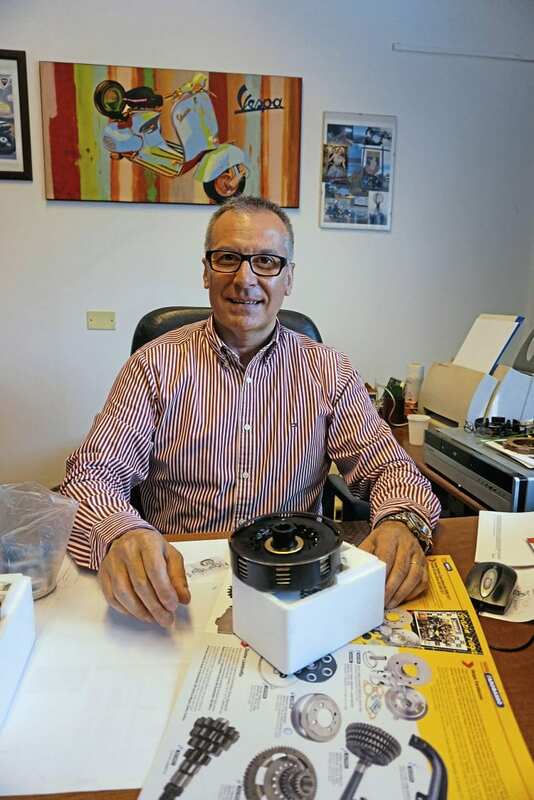 Although Andrea Pinasco retired in 1999 the company bearing his name remains at the forefront of scooter tuning. Best known for their Vespa products, last year they raised a few eyebrows by entering the Lambretta market. When Scootering was given the opportunity to meet the man in charge, Piergiorgio Bettella, at Pinasco’s home base I jumped at the chance. Unfortunately the day didn’t start well. Small-frame casings will feature easily removeable gear cluster and a reed valve option. 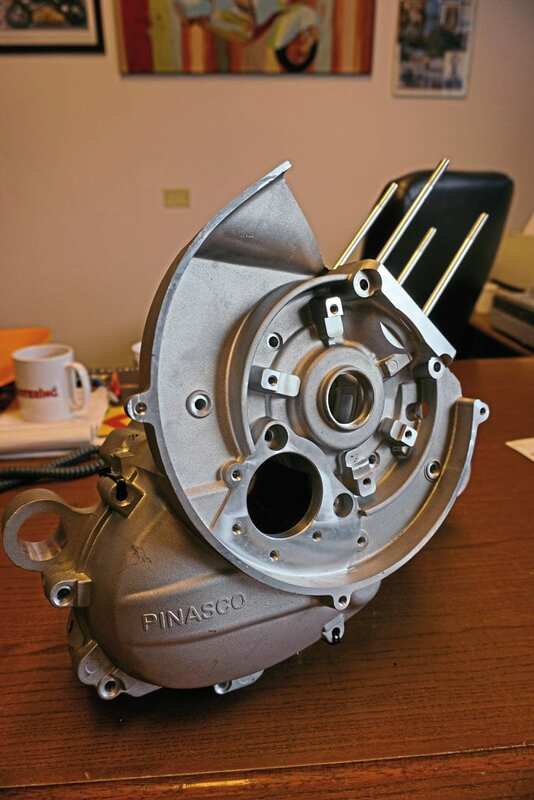 Ever since I transformed my 50 Special by bolting on their 50 to 90cc conversion I’ve held Pinasco products in high regard. Wanting to make a good impression I set off early but managed to take a wrong turn, adding 30 miles of autostrada to my journey. I arrived on the correct street with two minutes to spare, only to find an eccentric numbering system meant that a large industrial estate separated me from Pinasco HQ. With panic setting in I misjudged a kerb and cracked my GP’s exhaust. By some miracle I arrived exactly on time. 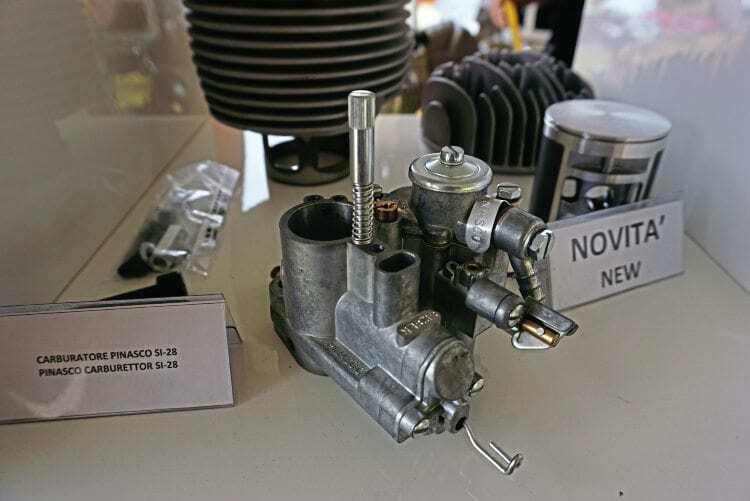 Creating the 28mm carburettor was difficult from a technical perspective, requiring a completely new body. 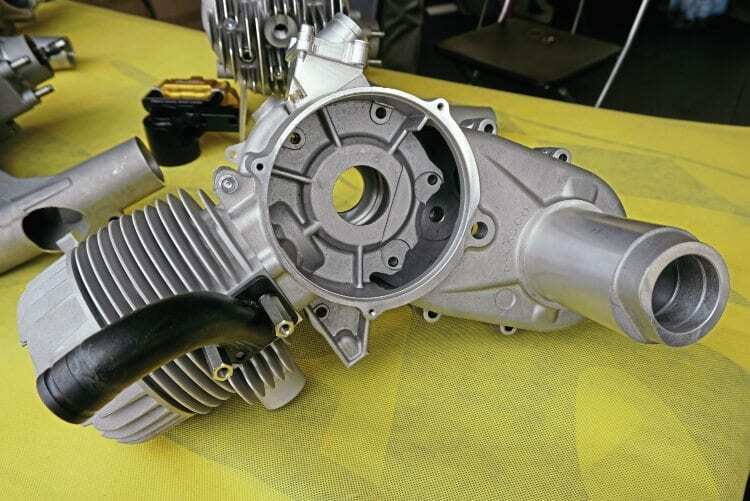 The crankcase has several fixed points that have to be respected, it wasn’t simply a question of ‘boring out’ an extra couple of mm. 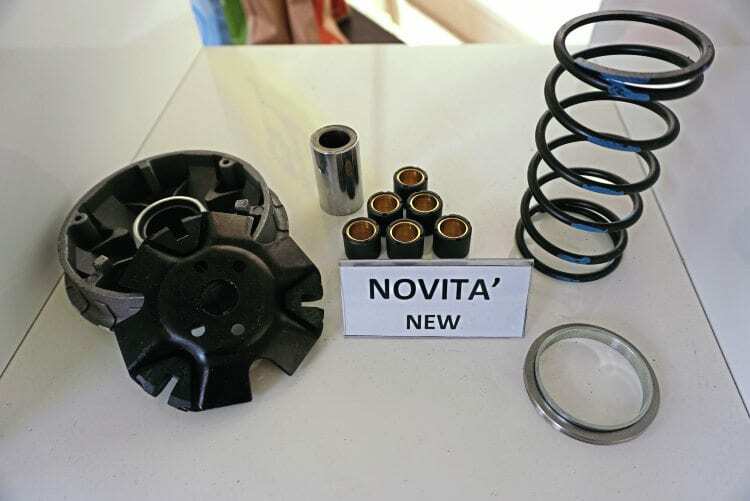 New GS225 kit offers performance while retaining originality. 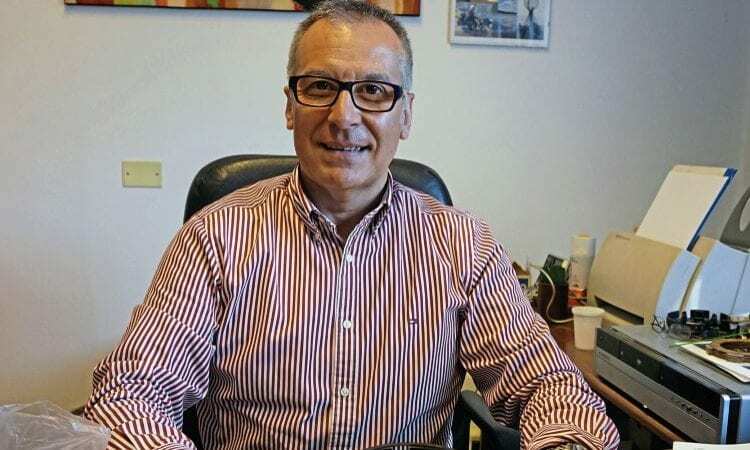 Piergiorgio is keen to point out that Vespa will remain their core business. “We have many exciting products under development,” he said. 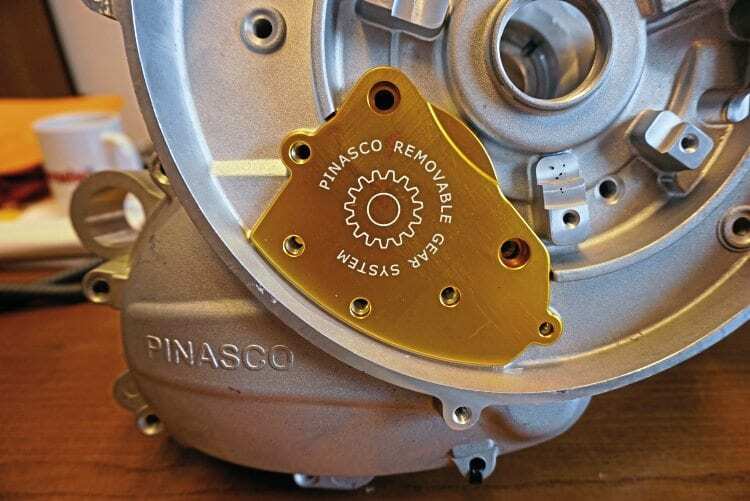 “The Faro Basso/wide frame models are increasingly popular but there are very few affordable tuning accessories.” In addition to their Faro Basso 161cc barrel kit a flytech ignition system has also been developed. 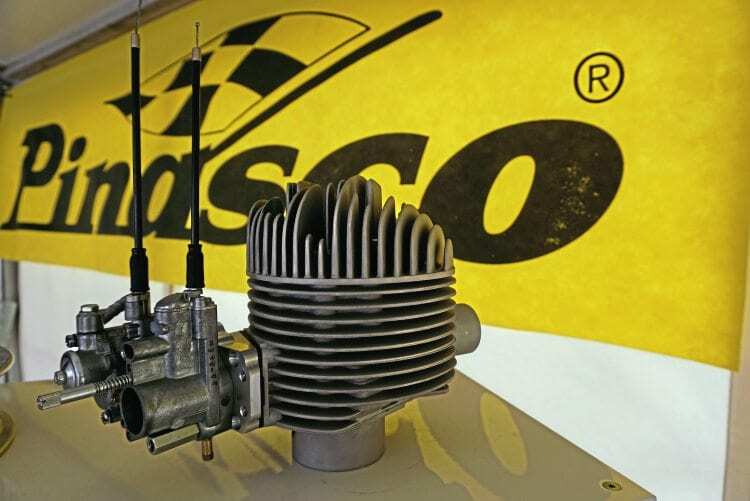 Following on from their beautiful 200cc and T5 engine casings is a prototype for Faro Basso machines. 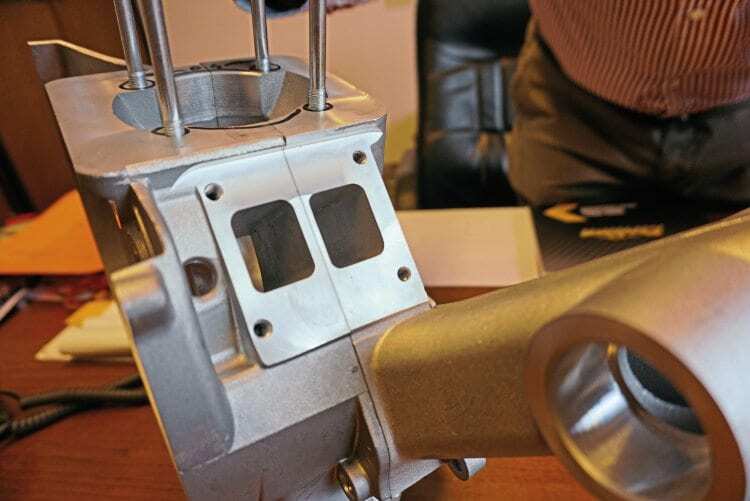 This will allow owners to build a highly tuned engine without destroying valuable original casings. 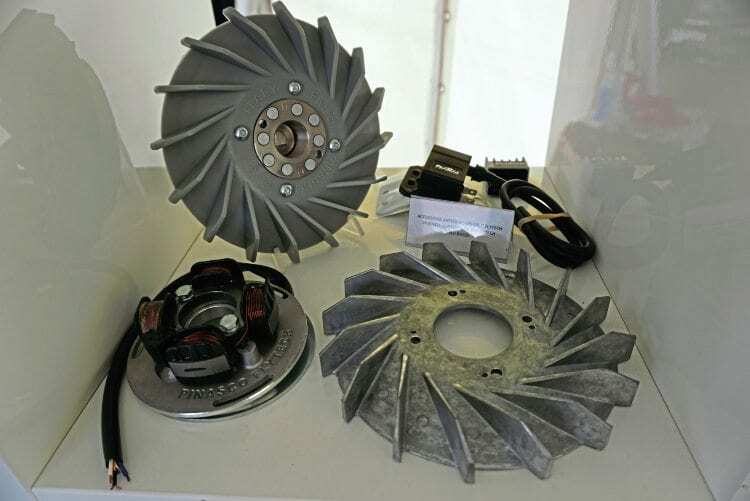 Faro Basso iginition is offered with both modern and traditional cooling fans. I ride a GS scooter…. 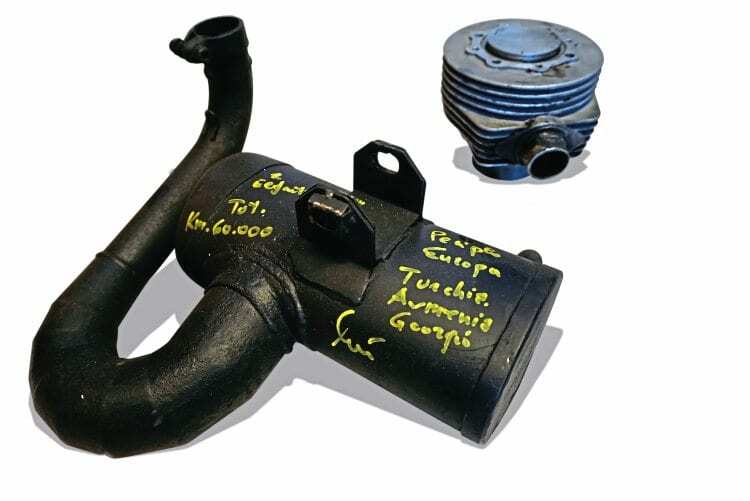 Pinasco 177 kit and exhaust, under evaluation after 60,000kms! It was thanks to Giulio at Armandos, a name long associated with Pinasco, that my visit was arranged so easily. However even he couldn’t secure access to the research department. “Our riders don’t get in there,” laughed Piergiorgio. Modern Vespas aren’t forgotten, GTS variator and rollers are new to the range. 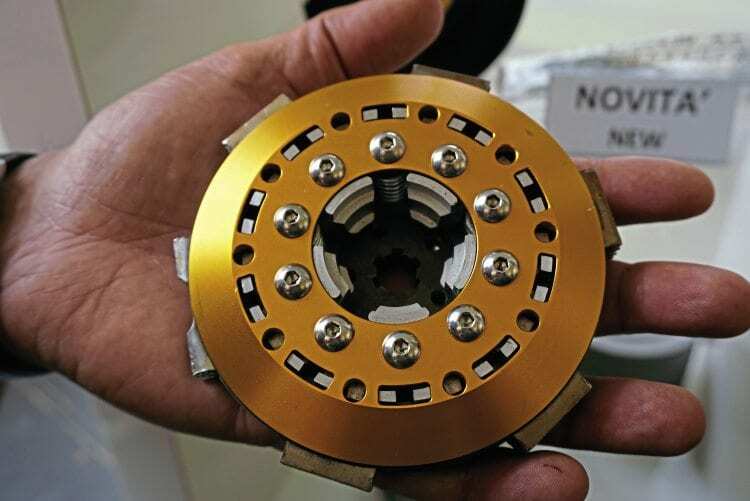 Small-frame clutch, a thing of beauty. One thing’s certain, Pinasco are proud of their past. Judging by the most recent additions to their catalogue I can only guess at what the future has in store. Faro Brasso casings are still at an early stage of development.